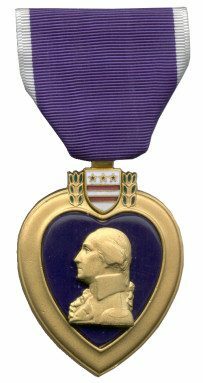 WASHINGTON, D.C. -- Many lawmakers in Congress, including Congressman Bill Posey (R-Florida), want the Distinguished Warfare Medal (also known as the "Drone Medal") to rank below that of the Purple Heart. The VFW needs you to immediately contact your members of Congress to urge their support of H.R. 833 and S. 470 to lower the ranking of the new Distinguished Warfare Medal to below the Purple Heart. Because in a letter to VFW National Commander John Hamilton, the Defense Department again said they would not lower the status of the medal, which now ranks 9th highest out of five dozen current medals and ribbons in the order of precedence – and you don't have to go to war to earn it. As of this morning, H.R. 833 had only 41 sponsors out of 435 members of the House, and S. 470 had only 10 sponsors out of 100 members of the Senate. We need more. This VFW-supported legislation has bipartisan support because it is the right thing to do for the troops who go into harm's way and not home every night. This is a policy disagreement over the placement of the new medal, not whether drone operators, cyber warriors and others don't deserve to be properly recognized for the tremendous impact they are bringing to the battlefield in real-time. The VFW just adamantly believes that medals that can only be earned in combat must rank higher than new medals awarded in the rear.